Add sparkle to your look with these shiny earrings. 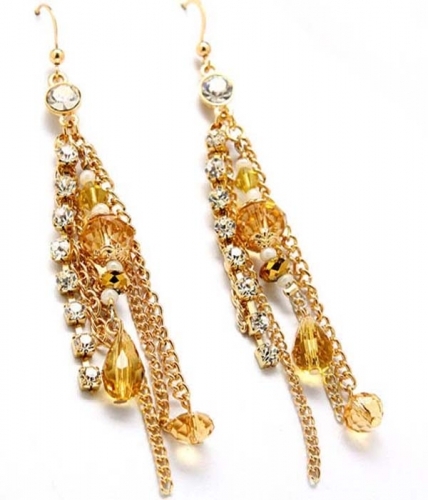 The piece features long gold-toned metal chains embellished with amber beads and crystals. A row of clear crystal studs spices up the design. Be seen wearing this fabulous fashion jewellery item, compliments are sure to follow!